Sticky Post: About my fiction, and where you can find it. Scroll down for newer content. My novels are published by WordFire Press and available via the usual outlets. Pack Dynamics: A private eye with PTSD is thrown face-first into a brutal world of werewolves, vampires, and nanotech by a pharmaceutical espionage case gone horribly awry. 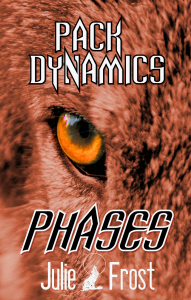 Pack Dynamics: Phases: A pair of novellas in the Pack Dynamics universe. Piles of Cash and Killer Benefits: A modern-day mad scientist and his uber-competent personal assistant are shot down by terrorists. The lycanthropy she's been keeping a secret might destroy them--or save them. In the Multitude of Mercy: Fresh out of Folsom Prison in 1969, a former pre-med student finds that the quiet little California town he tries to settle down in has a big werewolf problem--one the local alpha thinks he can solve by forcibly inducting a "hardened ex-con" into his pack. 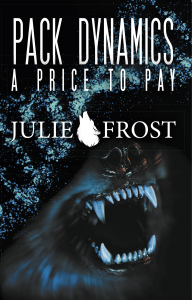 Pack Dynamics: A Price to Pay: A werewolf private eye clashes with a collection of vengeance-fueled criminals, trying to prevent them from selling Berserker Virus Murder-Wolf tech to terrorists. But when he's offered the opportunity for payback of his own, he might save the world and lose his soul. Summary: Russell Fisk, the captain of the tramp freighter Inquisitive Tamandua, hates transporting live cargo, but a creditor has him over a barrel. So now he has to get a pack of hunting Beagles to the client, while dodging Feds and dealing with an alien passenger who's more than slightly odd. And, oh, hey, one of the dogs is in labor. I've had... *counts* Uh. Umpty-foo number of short stories published in various venues. My Amazon Author Page is here. I also wrote a pair of villain origin stories--the Demon-Prince and the Vampire--for Lord of the Dead, a tabletop hex-and-counter horror game from Pocket Options. Portrait of the Artist as a Young Werewolf was published in the "A Year of the Monkeys" anthology by the Infinite Monkeys chapter of the League of Utah Writers. What Rough Beast was published by Lycan Valley Press in the "Dark Voices" charity anthology (proceeds go to breast cancer research). Doc Borden's Hard-Luck Hoss was published in Issue 3 (Summer 2018) of Gallery of Curiosities, edited by Kevin Frost (no relation). Summary: A post-Civil-War doctor is bitten by a rattlesnake in the desert and saved by an extraordinary creature with a healing horn. Can he use that horn to help his patients in the mining town he settles in? Objects of Allegiance was published in Tales of Ruma, edited by Martin Greening, as a tie-in to the Ruma: Dawn of Empire RPG. Summary: Devyn, the eighth son of a Kellic chieftain, is bitten by a Ruman werewolf while both are out on reconnaissance on opposite sides of a precursor to invasion. The Rumans' foreign god of war is less than gentle, and Devyn is compelled to complete the Mars ritual--but it may be that his people have more to offer the Ruman wolves than their Caesar is willing to give them. Predator/Prey Relationships was published in StoryHack 2, edited by Bryce Beattie. Summary: Ben Lockwood, private eye and former Army Ranger, is ambushed by a hunter who enjoys playing a Most Dangerous Game with werewolves. Involuntarily de-wolfed and back to being a normal, squishy human, Ben must fall back on his training to hunt the hunter and recover his inner wolf. 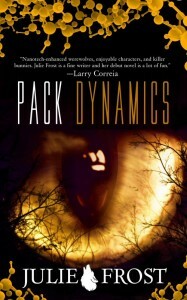 A Pack Dynamics novelette. Man-Made Hell was published in the "To Be Men: Stories Celebrating Masculinity" anthology, edited by Sirius Métier and published by Superversive Press. Summary: James Johnson is a werewolf on the run, questioning his sanity, who ends up working in an asteroid mine that skates the edges of legality and safety. Caught between hostile co-workers, the voices in his head, and a sympathetic barmaid, he's not sure if he's got space mania or if it's just Tuesday. Rebirth was published in the Planetary Fiction: Mars anthology by Superversive Press. Summary: The God of War has come to a low estate, starting petty squabbles as a hobo in New York City. But the Prince of Peace may just set him on a new path. Star-Crossed was published in the Planetary Fiction: Venus anthology by Superversive Press. Summary: Ben Lockwood, werewolf private eye, finds himself embroiled in Clan politics when he's hired by a vampire to protect her while she takes revenge for her lover's death by exposing less-than-legal shenanigans two rival Clans are engaged in. How I Learned to Stop Worrying and Love the Apocalypse was published in Enter the Aftermath. I co-wrote this with my awesome roleplay partner Aspen Hougen. A Particular Skill Set was published in The Worlds of Science Fiction, Fantasy, and Horror Vol. III. Summary: A Pack Dynamics story. Alex Jarrett's butler Chambliss has always had a somewhat mysterious past. He's not actually British and hasn't always been a butler, but he's never said more than that. Now that past comes roaring forward to the present to complicate all their lives--in the person of the Queen of the Fae. Horns of a Paradox was published by Stupefying Stories Issue 19. Summary: A time-traveling wizard with a weasel familiar enlists the aid of a local to help him on a unicorn hunt in the environs of modern-day Memphis, TN. Bad Actors was published in "3rd and Starlight" by Future Finalists Publishing. It's a Pack Dynamics short that takes place after Book 1 but before Book 2. Summary: Ben and Janni Lockwood, newly minted werewolves, are hired by a vampire movie producer for some bodyguard work while he confronts a local pack alpha about shenanigans on the set. The alpha is none too pleased about strange wolves in his territory, and challenges Ben to a fight--with Janni as the prize. She'll have to bring all her acting chops to the fore to pull off the damsel-in-distress role of her life. Full Ride was published by The Centropic Oracle in audio format. It's a free listen! Primitive Life Forms was published in the PulpRev Sampler. Summary: A werewolf is abducted by aliens on a full moon night. It's their first contact, and ours. It... goes about as well as you'd expect. Apex Predator was published by Ravenwood Quarterly in the "Ravenwood Halloween Special." Summary: When a man is attacked by a werewolf in his home, no one believes him, and he's given a 72-hour hold in a psychiatric facility. We can all guess how well that goes when the moon rises full the next night--not to mention the fact that he then finds out his wife has a lupine stalker he must protect her from. Too Much for the Whistle was published in Astounding Frontiers 4, Astounding Frontiers 5, and Astounding Frontiers 6 as a three-part serial by Superversive Press. Summary: Steve Austen, a werewolf Marine Explosive Ordnance Disposal Technician, loses his legs to a roadside bomb. When a shadowy government agency offers him a pair of replacement cyborg legs, they don't tell him everything--and he finds that he may not be willing to pay the ultimate cost. Huffman Strikes Back was published in the Monster Hunter Files anthology by Baen Books. This takes place in the fantastic Monter Hunter International universe by Larry Correia, and was co-written with Bryan Thomas Schmidt. Summary: Owen Pitt tries to go on vacation. Remember his werewolf boss? The one he threw out a window to get this whole mad adventure started? Yeah, that guy had a brother--and he's a werewolf too. Brave Day Sunk in Hideous Night was published by StoryHack in Issue 1. It's a novelette that takes place in the Pack Dynamics universe. Summary: Ben Lockwood, werewolf private eye, takes a repo-and-skip-trace job that goes completely sideways. In time. Wild Irish Rose was published by Neo-opsis in Issue 28. Summary: After a werewolf encounter during a traumatic full-moon jog, our protagonist stumbles home bleeding--and finds that his beloved dog is terrified of him. Alpha Romeo was published by Camden Park Press in the "Mirages and Speculations" anthology. It takes place in the Pack Dynamics universe, after the second novel. Summary: Ben Lockwood, werewolf private eye, finds himself embroiled in a case where lady wolves are going missing from a supernatural glam club. This entails him putting on makeup and dying his hair blue and purple. He's thrilled, naturally. He's even more thrilled that his actor wife Janni is dealing with a horndog screenwriter on the set. The Monster Without was published by StoryHack in their inaugural issue. It takes place in the Pack Dynamics universe (chronologically after the second novel). Summary: Ben Lockwood, a werewolf private eye with serious save-the-damsel issues, is on the hunt for the killer of a teenage girl. When a woman hires him to protect her from her abusive boyfriend, the cases collide in a way that may cost him his sanity--if not his life. Cry Havoc was published in "Writers of the Future V32." More information, as well as links to buy it from all the usual suspects, is here. It's also available as a standalone published byDigital Fiction, and in the Literal Illusions anthology published by the same outfit. Summary: What happens when the alpha, who's supposed to be the conscience of a werewolf pack, loses the pack... and his moral compass? Serendi-bunny was published in the "Singular Irregularity" anthology edited by Kimber Grey. It's a short set in the Pack Dynamics 'verse. Summary: Alex Jarrett may be a mad scientist, but he's a mad scientist on a mission to cure cancer. When he buys a pair of robot bunnies from the internet to help him accelerate his research, he gets more than he bargained for when they turn out to be assassin-bots sent from the future. With the help of his werewolf hacker friend Ben Lockwood, he has to figure out how to circumvent their programming before the cutest killers ever created put an end to not just his career, but his life. Meerkat Manners was published in Jouth 2 by Blaster Books. Also available at Smashwords and Barnes and Noble. It's also available in the Essef Salmagundi anthology put out by Digital Fiction. Summary: The crew of the Inquisitive Tamandua is hired by a mob of meerkats to transport them to a new colony. Between their infighting and the new Fed-mandated AI, Russ and his crew will be lucky if they can stay sane, let alone out of jail. Bear Essentials was published by World Weaver Press in the "Far Orbit" anthology. Julie Czerneda says: "Daring adventure, protagonists who think on their feet, and out of this world excitement! Welcome to FAR ORBIT, a fine collection of stories in the best SF tradition. Strap in and enjoy!" Available as ebooks and dead trees. It's also available as a standalone on Amazon, published by Digital Science Fiction, or as part of the "Infinity Cluster 6" anthology put out by the same outfit. Summary: The intrepid crew of the Inquisitive Tamandua is hired to transport a "grizzly bear" to a monastery. But neither the bear nor the monastery are what they seem, and their routine (ha) job is complicated by a reporter who's all too eager for a scoop to bolster her flagging career. Daddy's Little Girl was published in the "Putrefying Stories" anthology by Stupefying Stories. It's also available as a standalone from Digital Horror on Amazon, and in an anthology titled "Largely Deceased" through them as well. Guardians of Public Safety was published in the "1st and Starlight" anthology, available on Amazon, put together by a bunch of Writers of the Future Finalists. That Which is Hidden was published in the "Chronology" anthology by Curiosity Quills. This was my prizewinning story for the Salty Dog writing contest at Salt City Steam. It's also available as a standalone short, and in the "Casual Conjurings" anthology as well. Summary: Daniella and her friends Gris and Mac must leave a talking cat in a dragon's cave for its annual tribute without being eaten by the grumpy dragon or murdered by goblins and mountain trolls. And they have to do it before a rival team beats them to the punch. The Road to Hell was published by Domain SF. It's a free read, but it requires registration. You can also pick it up in Creepy Campfire Quarterly 5. Summary: Oceanic algae farms have dumped extra oxygen into our atmosphere, with catastrophic results. Insects are now prehistoric size and we use baseball bats to swat mosquitoes. But the cure might be worse than the disease, as a grief-stricken woman learns to her detriment. And the planet's. Servile Spirits to Invent was published in "The Death God's Chosen" by Deepwood Publishing. It is also available as a standalone from Digital Horror, and in their "Aluring Dread" anthology. Summary: A village decimated by plague uses corpses to till the fields so they don't starve. However, the entities animating the bodies have their own agenda. War of the Were-Mice was published by Unlikely Story for their April Fool's issue. Be thou warned: This was written on purpose to be terrible. The challenge was to "write the worst piece of fiction you can stand to see under your byline." So... I did. It's a flash piece, so you won't lose too many brain cells by reading it. They also interviewed me. Summary: The house vermin battle for supremacy. Of Were-Critters, Widow Women, and Water Rights was published in the "Ways of Magic" anthology by Deepwood Publishing. Summary: Mike Vaughn, a werewolf who works security for a rail line in Reconstruction Texas, is embroiled in a feud between a family of brothers and his ex-sweetheart. Throw in a professor with a water-sucking contraption, a preacher with a dark past, and a hunter, and Mike is having a truly rotten day. Different in Blood was published in Plasma Frequency, which sadly no longer has any online presence at all that I can find, other than at Weightless Books. Summary: Ben Lockwood, werewolf private investigator, finds himself embroiled in the weirdest cheating spouse case ever. What the hell is a squonk? He's about to find out. Showing Faeries for Fun and Profit was published in Stupefying Stories. You can also listen to the audio version at Far Fetched Fables. Summary: Faerie shows are cooperative enterprises between humans and faeries. When a faerie is kidnapped, it's a race against time -- and against faerie rights activists, the larger Fae, and an unscrupulous fellow competitor -- to find her before something terrible happens. The Cow and the Beanstalk was published in Azure Valley, an imprint of TM Publishing (now sadly defunct). It was reprinted in 2nd and Starlight. And you can listen to it on Far Fetched Fables. Summary: We all know the story of Jack the Giant Killer. How he traded a cow for some magic beans, killed a giant, avenged his father, and lived happily ever after. Now, everyone assumes the bean man was out to cheat Jack -- but, you know, the beans really were magic. He delivered on his promise and then disappeared, never to be seen again. So, what was so special about a cow, that a fellow would be willing to trade beans like that for her? Sensory Overload was published in Plasma Frequency. You can also listen to the audio version at StarShipSofa. Summary: A security guard with electronic sensory enhancements accompanies a group of art students down to the home planet of a new alien species. While there, he sees things he shouldn't--but he's not sure if he's really seeing them, or if the enhancements have finally made him crack. Affairs of Dragons was published in Renard's Menagerie, which is sadly defunct. It was reprinted in the "Far Orbit: Apogee" anthology by World Weaver Press, available in both dead-tree and ebook versions. It's the sequel to "Illegal Beagles." Bitter Honey was published at AfterburnSF but can no longer be read online. It was reprinted in the "Roll the Bones" anthology. Summary: Desperate faeries raid a beehive for the honey they need to make it through a deadly winter. But at what cost to both faeries and bees? Fortunes of Soldiers was published by Cosmos magazine, with a fabulous illustration by Emrah Elmasli, but can no longer be read online. It was reprinted in the You're Not Alone anthology edited by Damien Broderick. Summary: Two week's pay for one night's work, babysitting a spoiled asteroid heiress? Mercenary Jake O'Dell thinks all his jobs should be this easy. Until, of course, everything goes disastrously wrong. Who's Afraid of the Big Bad Wolf was published by Darwin's Evolutions, with a fabulous illustration by Karl Nordman. It's also available as a high-quality .pdf download. It was also reprinted as a standalone by Digital Fiction, and is available in the "Ignis Fatuus" anthology. Summary: Mark Newman loves being a werewolf. But when his wife finds out she's pregnant, she attempts to cure him against his will, in his sleep. Naturally, it goes horribly wrong--and it goes even wronger when she gets a well-meaning priest involved, poor fellow. My author page on Amazon is here. You can read more of my fiction right here on this LJ. I have a "DVD extra" from my first novel that introduces a couple of characters to each other under less-than-optimal circumstances, and you can read that here. This is one of my very favorite scenes. I post occasional snippets of my stories, and those can be accessed via my snippets tag. Most of this LJ is me whining about writing, with some Real Life and Fannish Squee and a scosh of Politics thrown in on occasion. I have more information on my User Info page, or you can peruse my tags and see if anything in there looks interesting. You can also follow me on Twitter or friend me on Facebook. I don't always follow back on Twitter, especially if I don't know you, but I do friend back on FB. So. Come in, kick back, have fun. If you feel like commenting, please do. Sorted list of published stories. Since I have a lot of short stories published now, and it's an eclectic bunch, I thought it might behoove me to get them in some sort of order so that you can find what you're looking for a bit more easily. Most of the links will go to Amazon; if you use another platform, you can reference the more disorganized (but also more comprehensive and descriptive) Sticky Post. Some of them are in more than one category because cross-genre is how I roll. Pack Dynamics: Phases is a free read on Kindle Unlimited for now. Pack Dynamics: A Price to Pay. Brave Day Sunk in Hideous Night. Who's Afraid of the Big Bad Wolf. Too Much for the Whistle: Part One, Part Two. Part Three. Of Were-Critters, Widow Women, and Water Rights. Portrait of the Artist as a Young Werewolf. Subcategory: The Inquisitive Tamandua stories--yes, I named my spaceship the Curious Anteater, shut up. Showing Faeries for Fun and Profit. The Cow and the Beanstalk. In other news, it is possible to burn hard-boiled eggs. Ask me how I know. Here at Fyrecon we want to help everyone learn. We know that sometimes budgets just don’t allow you to take advantage of conferences. As part of our mission we offer a scholarship for each Master Class, 4 for general admission, and even some pitch session scholarships. There scholarships are available for both artists and writers. Scholarships are due May 7, 2019 and do require just a tiny bit of creativity on your part. Be sure to apply today.